click photo to enlarge I'm not quite sure I understand this but the city of Ontario California holds a Route 66 Crusin Reunion even though Route 66 doesn't go thought their city. This was the second annual event. 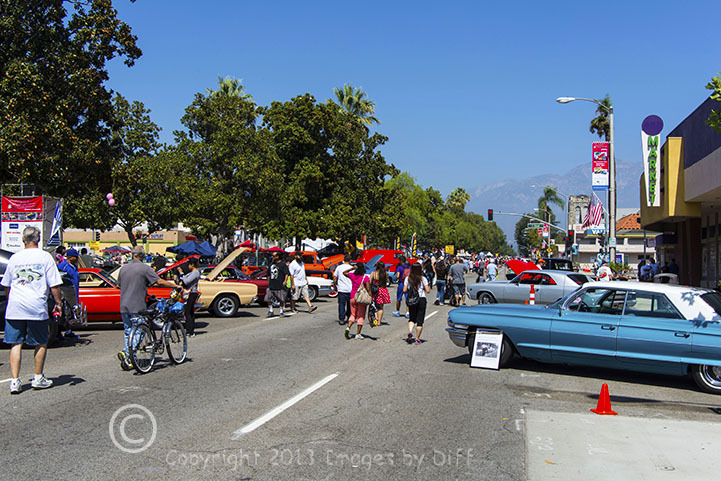 When the city of San Bernardino filed for bankruptcy they could no longer fund the Route 66 Rendezvous so the city of Ontario decided to start this Crusin Reunion. The car to the left is a 1967 Pontiac Lemans with a 326 V8. 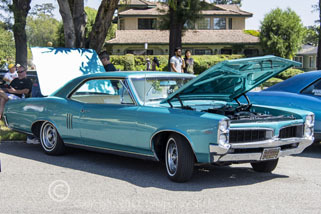 This was one of my early cars and is the very same color. Of course I wished it was a GTO.. but hey to me it was a race car. <grin> I was always working on it, changing carburetors, cam shafts, why I even replaced the 2 speed automatic with a 4 speed stick shift. click photo to enlarge I was a big MOPAR fan and in particular Chrysler. In 1968 I was 13 years old and started getting Hot Rod magazine. 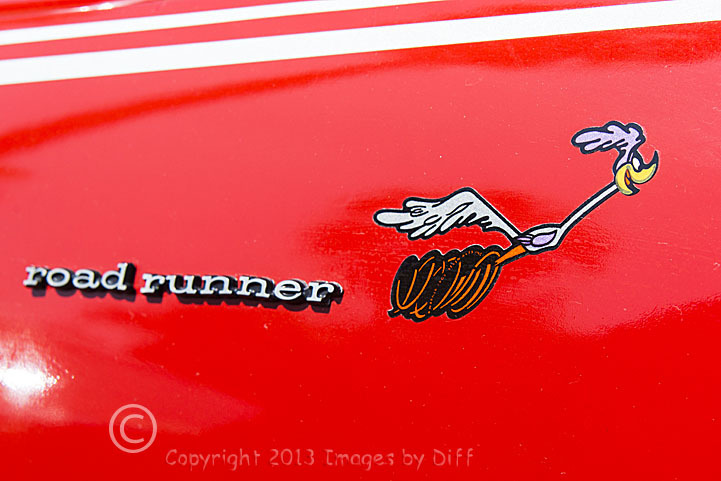 My favorite cars were the Plymouth Road Runner, shown to the left, and the Hemi Cudda. 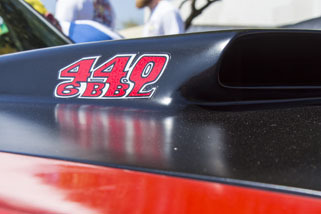 I never really knew how they got the abbreviation BBL for barrel so I just looked it up and its a term used for the abbreviation of an oil barrel. Kind of ironic that in the late 60's they used a term like this and just a few short years later the Arab Oil Embargo and EPA regulations teamed up to kind of kill the Muscle Car. click photo to enlarge This is one huge car show and they say it is 2 miles of cars and I believe it. 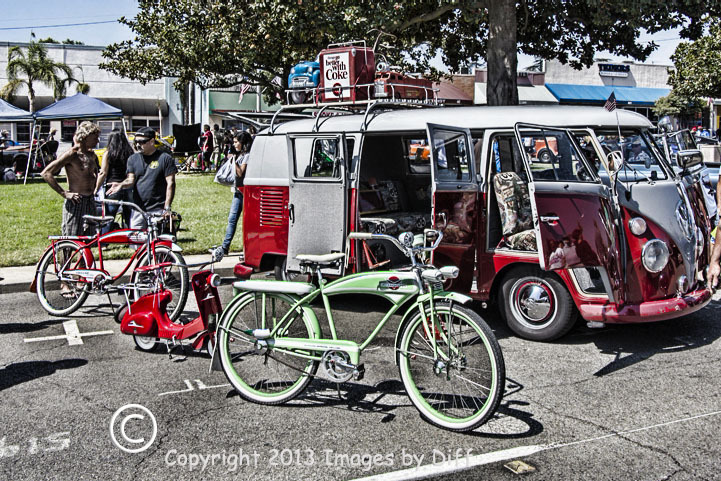 The young lady to the left was having fun cruising all around the show. 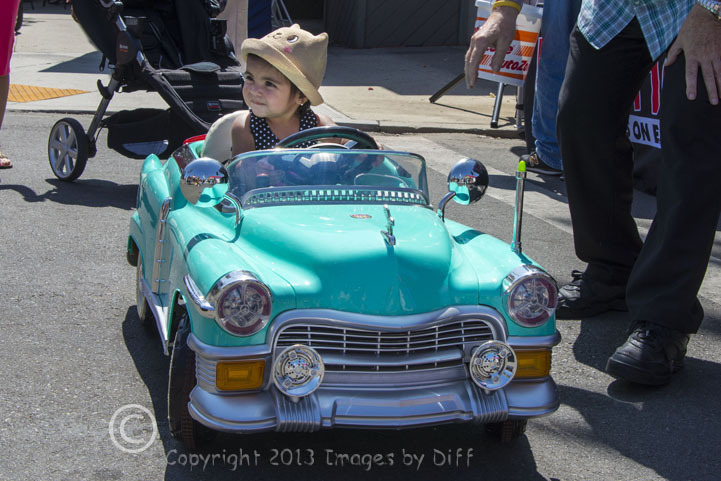 She actually was not driving it was remote controlled by her father but she didn't care. The guy who owned the VW Bus also owned the restored bicycles and scooters.